If you don't see it listed. Just give them a call for the best deal. 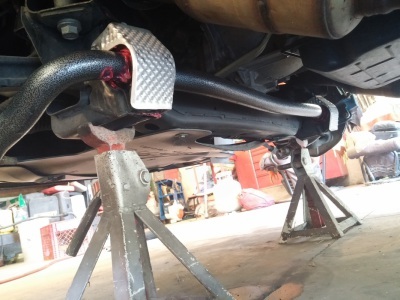 I just finished installing my rear sway bar a couple of weeks ago. I wasn't really looking to do so, but I found a Police Charger in a Salvage yard and got a deal I couldn't pass up. 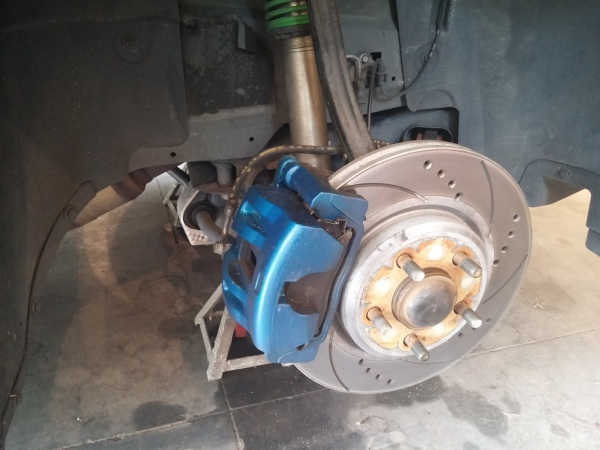 After installing it and feeling what a world of difference it made in the handling of my car. I had to see how much of a difference the front would make. The difference was night and day after I was done. 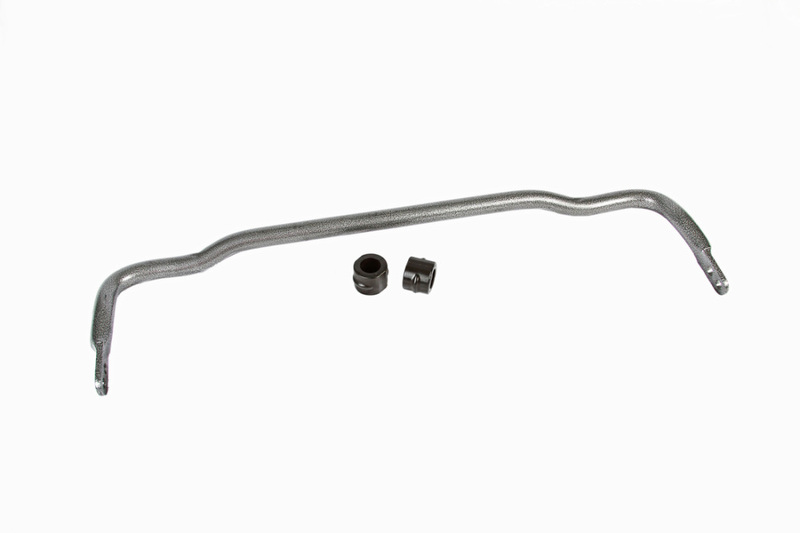 Aftermarket front sway bars ranged from 30mm to 38mm. Stock RT's are 27mm and SRT / Police are 30mm. 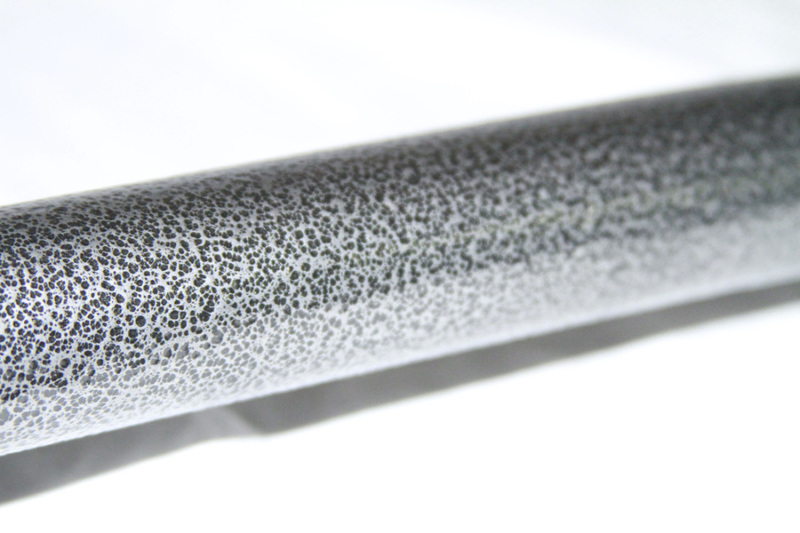 Then you start getting into the larger aftermarket bars at 32mm. Most bars I saw were 32mm with a couple at 35mm and just one at 38mm. The 38mm you could only be bought in a set with the rear and at over $400. It was ruled out early. I found a few for just under $200 the largest being 35mm. Which is what I just about went with, till I found a 32mm for $135 from Hellwig. To me this seemed like the best bang for the buck. The 32mm was larger then the SRT / Police Bars and was adjustable. My order was placed and in a few days, the Sway Bar was on my Front pouch. The Sway Bar is Solid bar and felt Heavy. 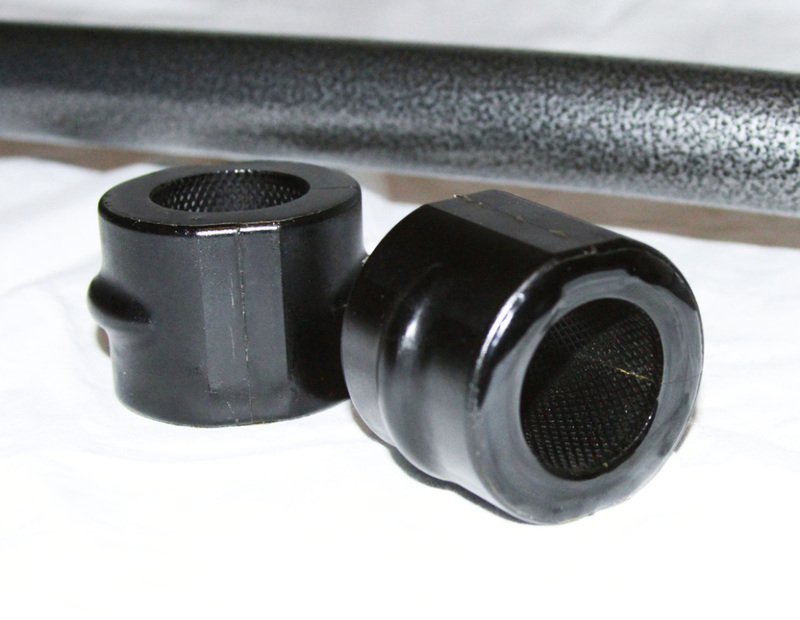 The Hellwig Sway Bar came in a nice Hammer-tone finish and with a pair of polyurethane bushings. I inspected it all and all was flawless and looked great. The install is pretty straight forward and took about an hour even with stopping and taking pictures along the way. 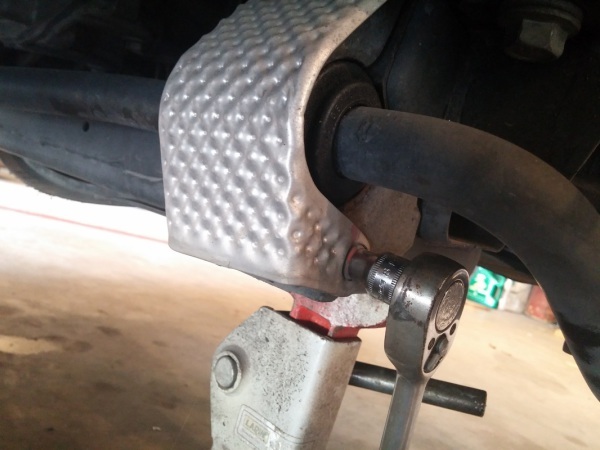 Here is a Simple Step by Step of how to Install your Front Sway Bar. 1. Lift the front of the car till the tires are off the ground. 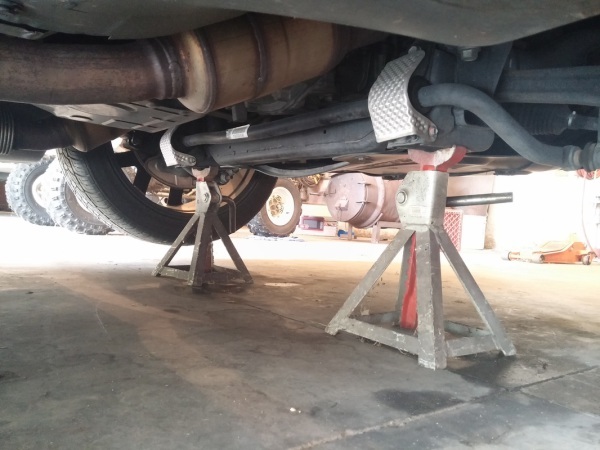 Place Jack Stands under the front. 2. Remove wheels and tires. If you have a lift you won’t need to, but if you’re working off the ground you will need the room to work. 3. Remove heat shields. There are two 8mm bolts per heat shield. The top bolt on the passenger side for the heat shield can be a pain. 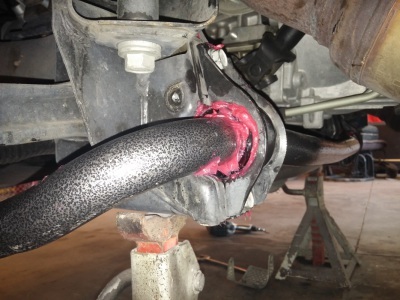 Also be carefully of the exhaust if it’s still hot. 4. Let’s unbolt the Sway Bar from the end links first. These will be tight and are easier to handle if the sway bar is still bolted in. If not you are fighting a bar from wiggling around as well. 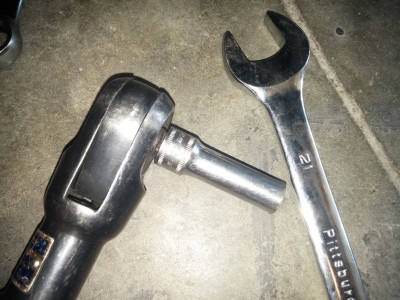 For the end links you need a 21mm Wrench and a 10mm Deep Well Socket. Set you Ratchet with the 10mm Socket to tighten not Loosen. The bigger longer ratchet and wrench you have. The easier it will be. Once removed, I like to put the nut back on the end link. So I can’t lose it. Air Hoses and creepers like to move stuff around and hide it from you. This just makes 2 less things to worry about. 5. Now it’s time to remove the sway bar itself. 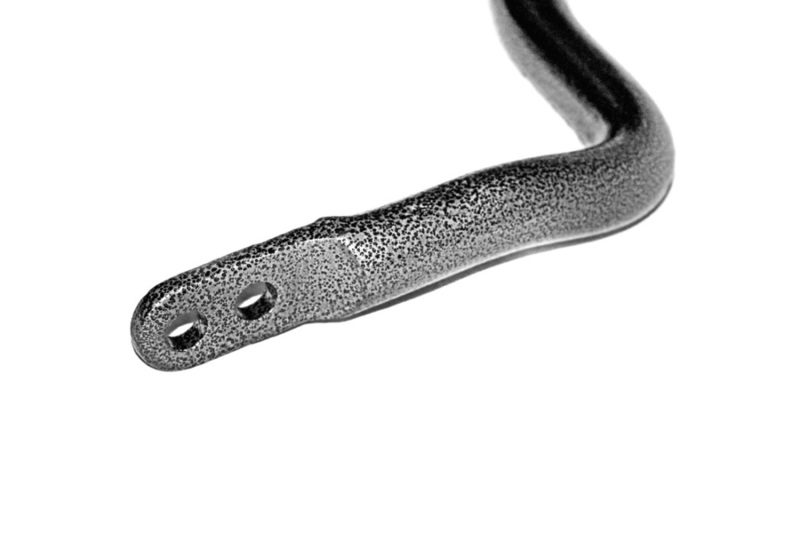 The Sway Bar is held on by two 15mm bolts per side. These are very easy to remove. Since the Sway Bar isn’t bolted to the end links. Be careful when removing it. It can fall out and hit you. 6. Bolt up the new Sway Bar to end link. Just put them on enough to stay on. Just a few turns by hand. Do Not tighten down yet. 7. It’s time to Grease the Brackets and Bushings. 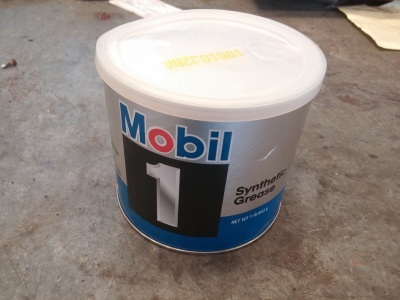 I used Mobil 1 Synthetic Grease. 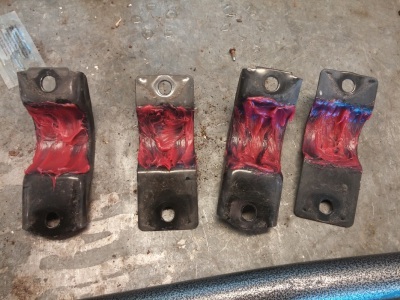 Make sure to grease the brackets where they make contact with the bushings. 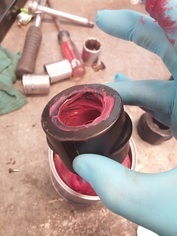 Also grease the inside of the bushings where they make contact with the Sway Bar. 8. 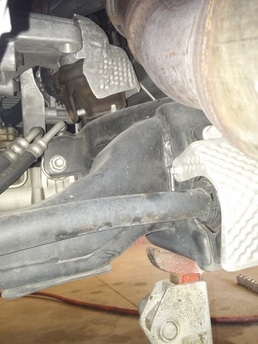 Slide on the Bushings to the new Sway Bar and re-install the Brackets and Sway Bar. 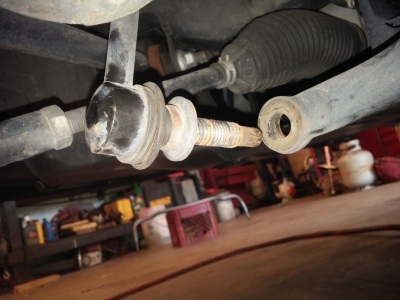 Having the Sway Bar attached to the end links will help keep it in place easier. Just get all four 15mm bolts threaded by hand first. 9. Once you have those in place it will look like the Bushings are too big. Not to worry. 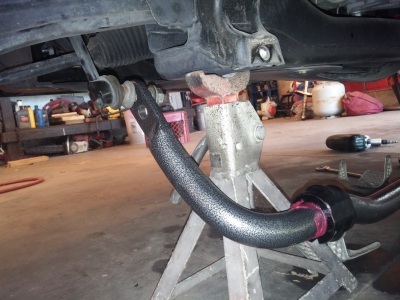 Make sure the sway bar is centered up and torque those 15mm bolts down to 44lbs. 10. 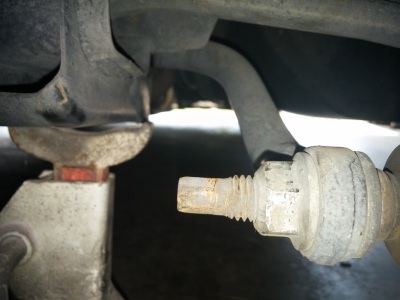 Most aftermarket Sway Bars have adjustable ends on them. The Hellwig 5910 used for this install has two adjustments points. The inner hole is a Stiffer Setting and the outer hole is Softer. The outer hole creates more leverage and makes it easier to move during suspension travel. I set mine to the stiffer setting and I’m happy. Torque these down to 108lbs. 11. Go over all bolts again to make sure they are all torqued correctly. 12. Mount the Wheels back up and remove Jack Stands. Don’t forget to Torque the Wheels to spec. 110lbs for Alumn. and 140lbs for Steel wheels.